The 50k Tree day event was originally scheduled for Saturday February 21, 2015 however due to weather issues was re-scheduled for Saturday March 14, 2015 which by coincidence happens to be Pi Day as well. The trees originally slated for planting were Red Bud, American Plum, Pin Oak, Shumard Oak, Virginia Pine. The trees we got, due to nursery substitutions, while not exactly the same are as good or better. The trees we have in our possession to distribute are as follows . 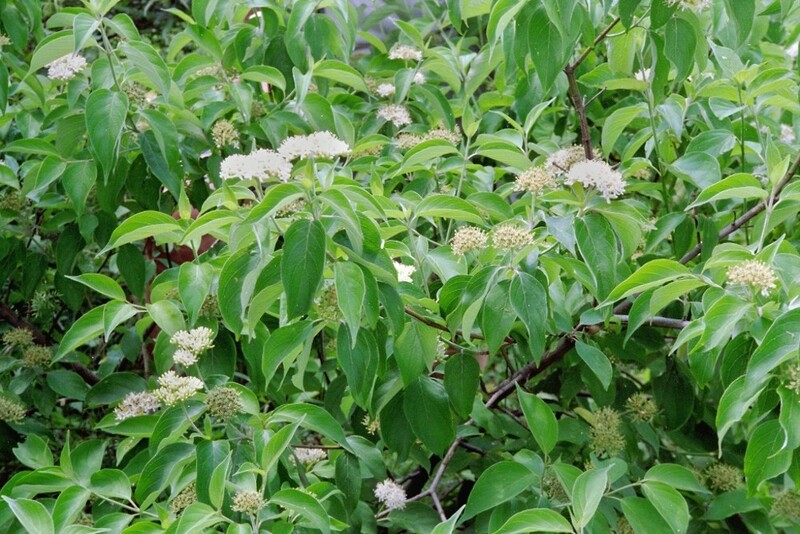 . .
Silky Dogwood - The vigorous growth of Silky Dogwood is optimized in moist to wet sites, but it adapts readily to dry soil conditions in fields and fence lines as well. The Silky Dogwood displays colorful summer fruits which is its best ornamental and wildlife asset. Its thin twigs of winter cast a reddish-purple hue to the landscape. The Silky Dogwood grows to 10 feet tall and 10 feet wide under optimum conditions as a single specimen, although suckering may add to its width over time. 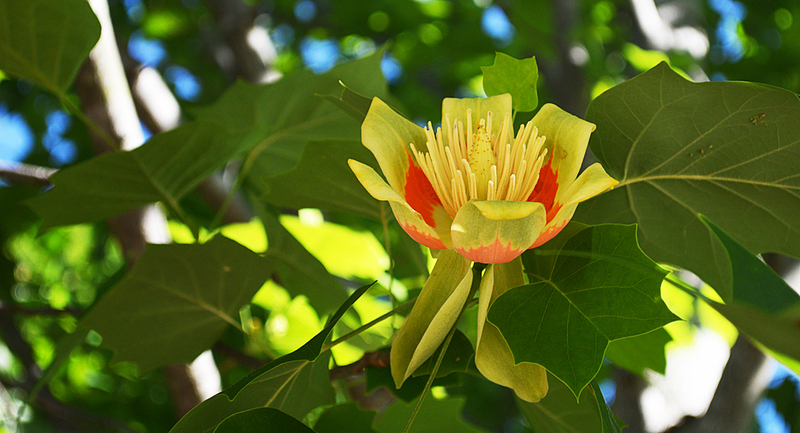 Yellow Poplar, aka Tulip Tree - During the summer you get a fast growing, well formed green shade tree. In the Fall… get your sunglasses. While other trees are turning brown, your Tulip Poplar leaves turn from green to bright yellow. A great tree for all seasons and one of our best sellers. The Tulip looking flowers give you a delightful fragrance of nectar that you'll enjoy all spring long. This nectar even attracts birds – including ruby-throated hummingbirds, cardinals and finches – and other small wildlife... the perfect tree for wildlife lovers! Shimmering Sumac - One of my favorite small trees has been stealing the autumn-color show in this area over the past few weeks, the staghorn sumac. There are few deciduous trees or shrubs that are capable of attaining such fiery shades ranging from orange to red to purple and yellow, sometimes all on the same plant. Regardless of their color, all of the long, drooping, frond-like, compound leaves exhibit somewhat of a silvery under-surface. Some of you may prefer to call this widespread and familiar plant a shrub. The American Forestry Association says that, in order for a plant to qualify as being a tree it must be at least 13 feet tall. We’ve admired some sumacs at least 15 to 20 feet tall. Yes, they do often form clones whereby the outer plants may not be any taller than a few feet, and those sumacs growing in environments of dry rocky soil seldom get any larger than six or seven feet. Button Bush - The Common Buttonbush (Occidentalis) is generally described as a perennial tree or shrub. This is native to the U.S. (United States) has its most active growth period in the spring . The Common Buttonbush (Occidentalis) has green foliage and inconspicuous white flowers, with a moderate amount of conspicuous white fruits or seeds. The greatest bloom is usually observed in the spring, with fruit and seed production starting in the spring and continuing until winter. Leaves are not retained year to year. The Common Buttonbush (Occidentalis) has a short life span relative to most other plant species and a moderate growth rate. At maturity, the typical Common Buttonbush (Occidentalis) will reach up to 20 feet high, with a maximum height at 20 years of 20 feet. 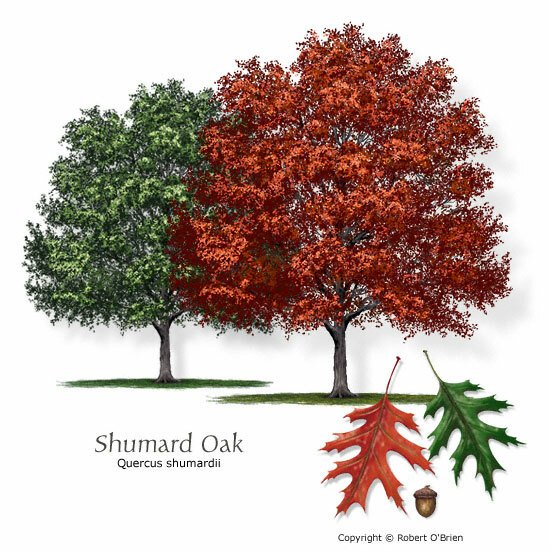 Shumard Oak - The Shumard's Oak (Shumardii) is generally described as a perennial tree or shrub. This is native to the U.S. (United States) has its most active growth period in the spring and summer . The greatest bloom is usually observed in the early spring, with fruit and seed production starting in the spring and continuing until fall. Leaves are not retained year to year. The Shumard's Oak (Shumardii) has a long life span relative to most other plant species and a moderate growth rate. At maturity, the typical Shumard's Oak (Shumardii) will reach up to 110 feet high, with a maximum height at 20 years of 35 feet. Virgina Pine - Virginia pine, also known as spruce pine or scrub pine, typically grows in the Piedmont and mountains, up to elevations of 4,500 feet. It is found frequently in pure stands in old fields and seeds in readily on severely eroded and dry soils. The side branches usually persist or remain on the tree for many years after dying, giving the tree a scrubby, untidy appearance. Virginia pine needles are 11/2 to 3 inches long, stout, yellow-green and usually twisted. They grow in bundles of two. Cones are dark reddish-brown, ovoid (egg-shaped), lustrous, 11/2 to 2 3/4 inches long and are armed with a sharp spine at the tip of each scale. They ripen in the fall after two growing seasons and remain on the tree for several years after seed-fall. Virginia pine is a small tree, 50 to 80 feet tall, with a trunk that rarely reaches more than 8 to 14 inches in diameter. The long, horizontal branches often droop to form an open, ragged, flat-topped crown. We will be distributing these trees, while supplies last, Friday and Saturday, for more information call 423-278-8823. We will be at the Mosheim Scout Building on West School Street, across form the Mosheim Middle School and City Park on Saturday from 10:30 am until 2:30 pm or until the trees are gone.